About Delmarva Temporary Staffing, Inc.
Delmarva Temporary Staffing, Inc. was established by Melissa McDermott Joseph, CPC in 1990. It has grown to be one of the largest employers in the State of Delaware by a certified "Woman Owned" business. Delmarva Temporary Staffing, Inc. has placed thousands of employees with large corporations, small businesses and the State of Delaware over the years. We staff pharmaceutical companies, hospitals, universities, major manufacturing facilities and many medium and small businesses. We place temporary employees, seasonal employees and permanent employees. Our recruiters have over 29 years’ experience in the placement field. Although Delmarva Temporary Staffing, Inc. is a Delaware based firm, we have payrolled employees in Texas, Iowa, New Jersey, Virginia and Maryland. Many of our satisfied customers have relied upon our firm to payroll their subsidiary companies in other states. The staff of Delmarva Temporary Staffing, Inc. has over 29 years of recruiting experience. From our front office receptionists, our counselors and staff of accountants and customer service employees, Delmarva Temporary Staffing has a reputation for excellent service! Melissa McDermott Joseph, CPC founded Delmarva Temporary Staffing, Inc. in 1990. She is a graduate of the University of Delaware with a Bachelor's Degree in Communications and Psychology. 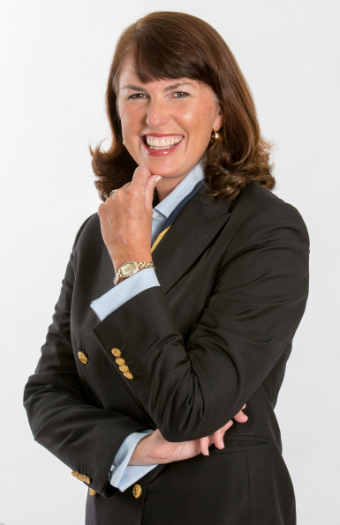 She is an expert on employment law and is one of the few Certified Personnel Consultants in the State of Delaware. Joseph has over 28 years’ experience as a Human Resources Manager. She is a member of the Rehoboth Beach Chamber of Commerce and former Board Member of the Jefferson School and All Saints Vestry, Joseph is very active in local volunteerism.